Summer for most people means the start of a season that brings relaxation, vacation, and some much needed time off- even if only for the weekend or a happy hour. While most of us no longer have the luxury to have an entire 3 months off, (and if you do, take a few beach trips for us) vacation can still be a state of mind. 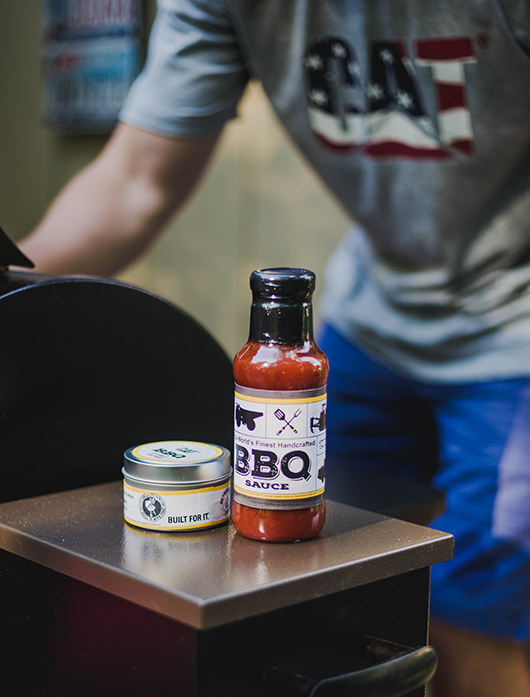 We’re here to help you jump into that state of mind with our Start of Summer Contest. We will be giving away an awesome group of prizes that will make your backyard the place to be this summer. 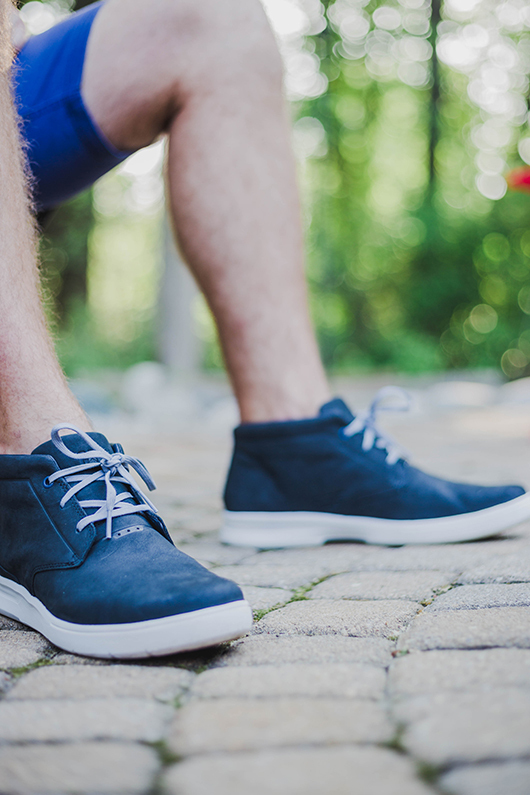 Kick the season off the right way with a new pair of Cat shoes suited for the warmer weather. We know we’re pretty good at making boots that stand up to the elements, and that includes the sun. Choose from our summer sandals and shoes for both men and women. Quench your thirst with a cold beverage from a 55 quart Cat Cooler, which has up to 2.5″ of R5 insulated foam and 3/16″ thick, no break polypropylene walls. 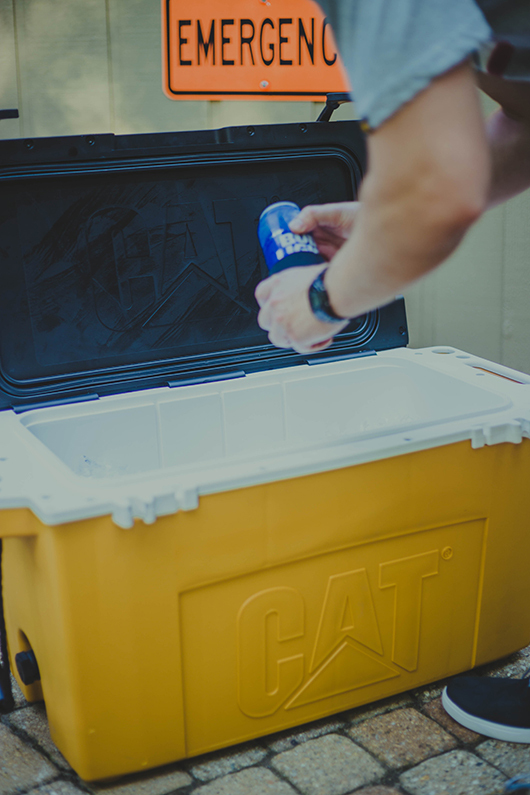 The cooler has a lifetime limited warranty and is sure to stand up to the toughest job site, and your weekend-long boat adventures. 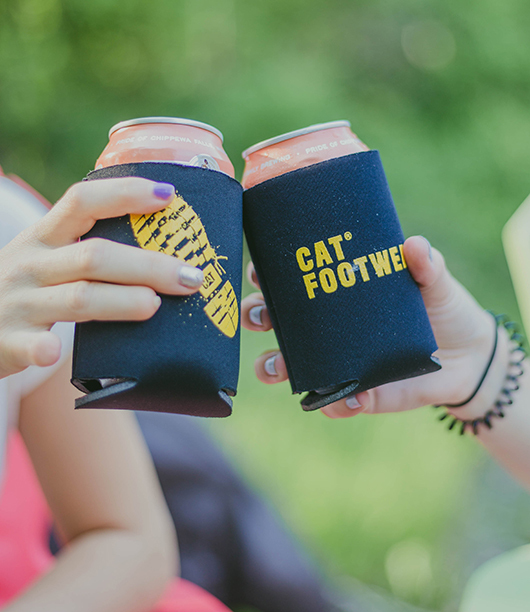 One lucky winner will also get a 4-pack of Cat Footwear koozies to bring along. 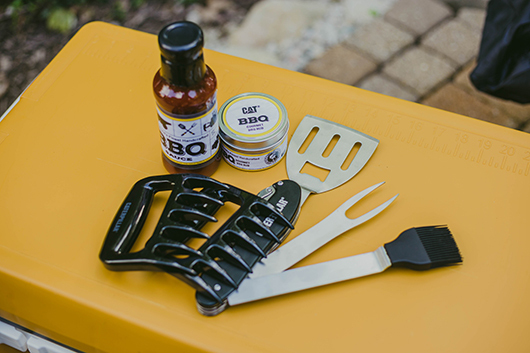 We’re also throwing in just as great prizes of two Cat bag chairs, Cat sunglasses, and a Cat BBQ set, which includes meat claws, Kansas City BBQ Sauce, Beef and Burger Rub, and a 5-in-1 Ninja Tool. You could be our lucky winner. The Start of Summer Contest will begin Monday, June 18th, and end Monday, July 2nd. 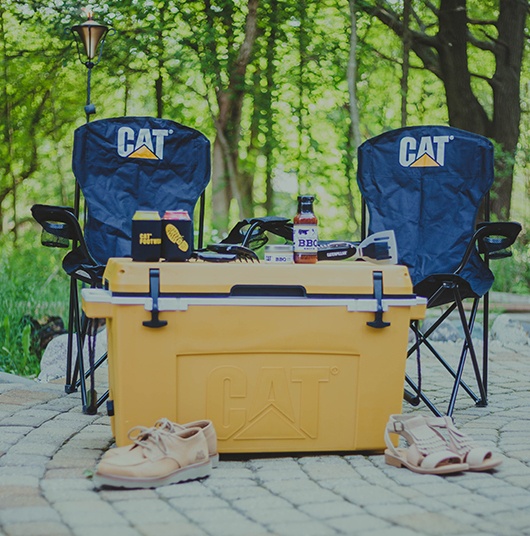 Enter to win on our Instagram post @catfootwear, and by following the details there. Description. 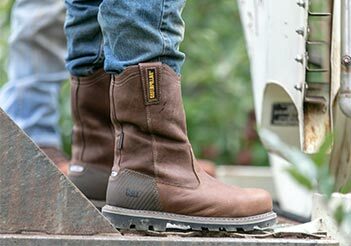 The 2018 CAT® Footwear Start of Summer Contest (the “Contest”) begins at 00:01 am ET on June 18, 2018, and ends at 11:59 pm ET on July 2, 2018 (the “Contest Period”). By participating in the Contest, participants (or, if a minor in their place of residence, the participant’s parent or legal guardian on his or her behalf) unconditionally accept and agree to comply with and abide by these Official Rules and the decisions of CAT Footwear, a division of Wolverine World Wide, Inc., 9341 Courtland Drive NE, Rockford, Michigan 49351 (the “Sponsor”), which shall be final and binding in all respects. Receipt of a prize is contingent upon fulfilling all requirements set forth herein. Eligibility. NO PURCHASE NECESSARY. Must be 18 years or older at the time of entry and a legal resident of the fifty (50) United States (including the District of Columbia). Employees, officers, and directors of Sponsor, their respective parents, subsidiaries, and agents, as well as the immediate family (defined as parents, spouses, children, siblings, and grandparents) and household members of each such employee, officer, and director are not eligible. Void where prohibited by law. All federal, state and local laws, rules and regulations apply. How to Enter. 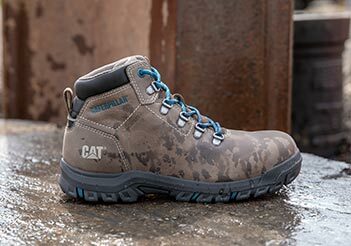 To enter, you must: (a) have an Instagram® account during the Contest Period, (b) follow @catcoolers and @catfootwear, (c) comment on Sponsor’s Contest post on Instagram, and (d) tag one (1) additional person on Instagram. Incomplete entries will be disqualified and removed from the Contest. LIMIT ONE (1) ENTRY PER PERSON. Any attempt to obtain more than the stated number of entries by using multiple/different email addresses, identities, registrations and logins, or any other methods will void all of an entrant’s entries and that entrant will be disqualified. Use of any automated system to participate is prohibited and will result in disqualification. Representations and Warranties. By participating in the Contest, you warrant and represent that: (a) the comment is your original work, and you are the sole and exclusive owner of all intellectual property rights in and to the comment; (b) use of the comment as described in these Official Rules will not infringe the intellectual property or other rights of any third party, or violate any federal, state, or local laws or ordinances; (c) the comment is not obscene or libelous, and does not contain anything defamatory or derogatory; (d) the comment does not contain any virus, spyware, malware, trap door, worm, or any other device, mechanism or code that is injurious or damaging to software or hardware used in conjunction with the Contest; and (e) you have the right to grant the license in Section 3 above. Entries not satisfying these criteria in any respect will be disqualified and removed from the Contest. Winner Selection. Following the end of the Contest Period, Sponsor will hold a random drawing to select one (1) Grand Prize winners from among all eligible entries during the Contest Period. Odds of winning a prize depend on number of eligible entries received. Prize winners will be notified through Instagram, and may be required to complete and return an eligibility affidavit and liability/publicity release. If a potential winner cannot be contacted within three (3) days after Sponsor’s first attempt, does not meet the eligibility criteria, does not fully comply with these Official Rules, or fails to sign and return the affidavit and/or release, then the potential winner forfeits the prize and an alternate winner will be selected. If a prize winner is considered a minor in his or her jurisdiction of residence, the prize will be awarded in the name of, or to, the winner’s parent or legal guardian, who must accept the prize, execute any required documents, and agree to all obligations and undertakings of the winner, both on behalf of himself/herself and winner, or the prize may be forfeited and awarded to an alternate winner. Under no circumstances will a prize be awarded as the result of an entry by an individual under 15 years of age. Prizes. One (1) Grand Prize: consisting of (a) one (1) Cat Cooler, (b) two (2) bag chairs, (c) one (1) 4-pack of Cat Koozies, (d) one (1) pair of sunglasses, (e) one (1) pair of Cat footwear, and (f) one (1) BBQ kit. Approximate Retail Value (“ARV”) of Grand Prize is $652.00. 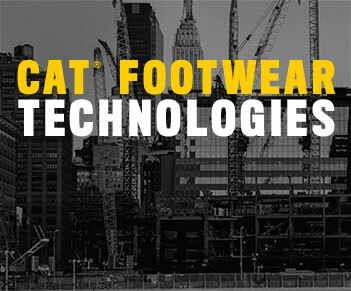 Promotional codes for footwear valid only at CATFootwear.com, expire as indicated, and may be subject to additional terms and conditions. Prizes are non-transferable, and may not be substituted for cash. Sponsor, in its sole discretion, may substitute a prize (or prize component) of equal or greater value due to unavailability of prize (or prize component) for any reason. General Conditions. All taxes and other expenses are the sole responsibility of the winner. Grand Prize winner and his or her guests will be required to execute a liability and/or publicty release before being admitted to the party. Neither Sponsor nor Instagram® are responsible or liable for, and entrants (or, if a minor in their place of residence, the participant’s parent or legal guardian on his or her behalf) completely release and hold Sponsor and Instagram harmless against: (a) illegible, incomplete, damaged, misdirected, stolen, late, or lost Entry Forms; (b) network, internet, or computer malfunctions or damage related to or resulting from participating in the Contest; (c) any condition caused by events beyond the control of Sponsor which may cause the Contest to be disrupted or corrupted; or (d) any injuries, losses or damages of any kind caused by the prize or resulting from acceptance or use of the prize, or from participation in the Contest. Any entrant attempting to defraud or in any way tamper with this Contest, including but not limited to using automated processes for entry, will be ineligible. If for any reason the Contest is not capable of running as originally planned, including but not limited to technical corruption or non-authorized human intervention, Sponsor in its sole discretion reserve the right to modify or cancel the Contest. CAUTION: ANY ATTEMPT BY AN ENTRANT OR ANY OTHER INDIVIDUAL TO DELIBERATELY DAMAGE ANY WEB SITE OR UNDERMINE THE LEGITIMATE OPERATION OF THE CONTEST MAY BE A VIOLATION OF CRIMINAL AND CIVIL LAWS AND SHOULD SUCH AN ATTEMPT BE MADE, SPONSOR RESERVES THE RIGHT TO PROSECUTE ANY SUCH INDIVIDUAL TO THE FULLEST EXTENT PERMITTED BY LAW. Winners List. 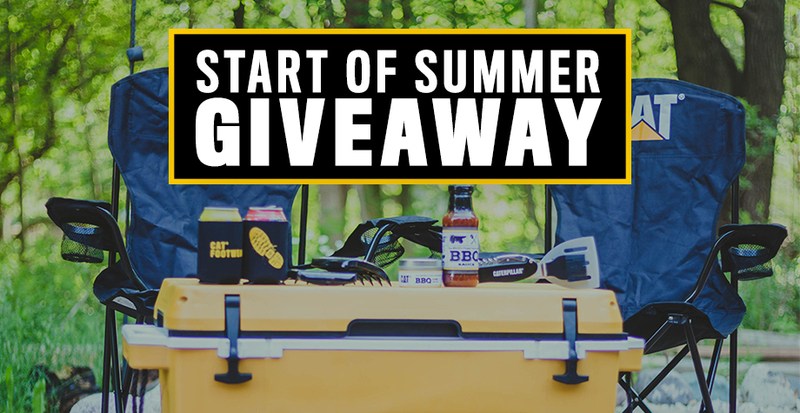 Names of prize winners may be requested by sending a self-addressed, stamped envelope by October 31, 2018 to Sponsor to the attention of “2018 CAT® Footwear Start of Summer Contest. Sponsor/Administrator. 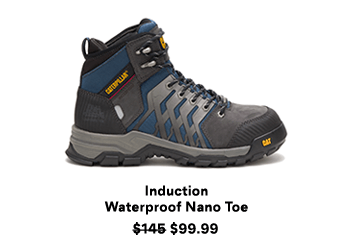 The Sponsor and Administrator of this Contest is CAT® Footwear, a division of Wolverine World Wide, Inc., 9341 Courtland Drive NE, Rockford, Michigan 49351 (“Sponsor”).